Tobins' Tastes: Stella & Dot Online Trunk Show! Have you heard of Stella & Dot jewelry? If you haven't you are missing out! I don't usually like to "sell things" on my blog but I thought that I would share my love of this fabulous jewelry line with you and invite you to check out my online trunk show (Click HERE to shop and put in Kaylee as your hostess) going on from now until the 15th. A year ago I had never heard of Stella & Dot and when my sister decided to become a stylist for the brand, I will admit that I was skeptical. I was worried that the jewelry wouldn't be that great of quality and that I would feel obligated to buy things from her. I was so wrong. I wanted everything she sold (and I still do!). As time and my budget allows, I have been avidly adding to my collection every chance I get. I love how fun and versatile each of the pieces are and I love how I can use them to dress up my basic shirts and dresses turning them into an outfit not just clothes. There are pieces in every price range and shipping is super affordable, a flat rate of $5.95 for your entire order! My first "big" Stella & Dot purchase was the La Coco Cupchain necklaces. I own two of them and I love braiding them together to make one big statement necklace. I use them to dress up a basic black shirt or dress and turn it into an amazing look. 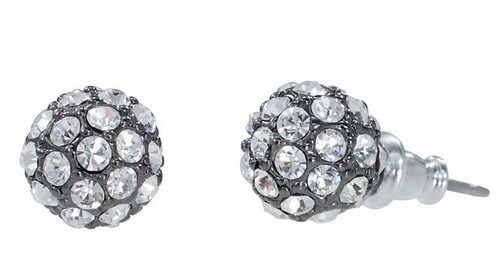 I got these Soiree Stud earrings for Christmas last year and I pretty much wear them all day everyday. They are so fun and simple and I think they are the perfect way to spice up any outfit. So affordable at $24 too! 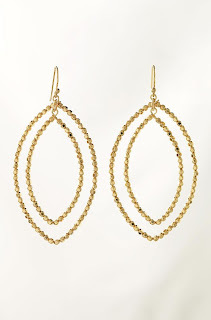 Another combo I love is the Bardot Hoop Earrings and Bracelet in both silver and gold. So fun and they go with everything! Are you interested in learning about the perks of hosting a Stella & Dot trunk show? Contact Stella & Dot Stylist Corey Collins and learn all about it! I'm stopping in from Friday Chaos! I am one of the co-hosts and I'm so glad you linked up! I love love love Stella and Dot jewelry! I hope you're having an awesome Friday! Wow, this jewelry is really nice! I'll keep it in mind next time I need a gift or want to treat myself ;) Thanks for sharing!